It is a purpose of a higher education institution and it is an imperative to recognise contributions and accomplishments of distinctive excellence by way of institutional award, honoris causa. 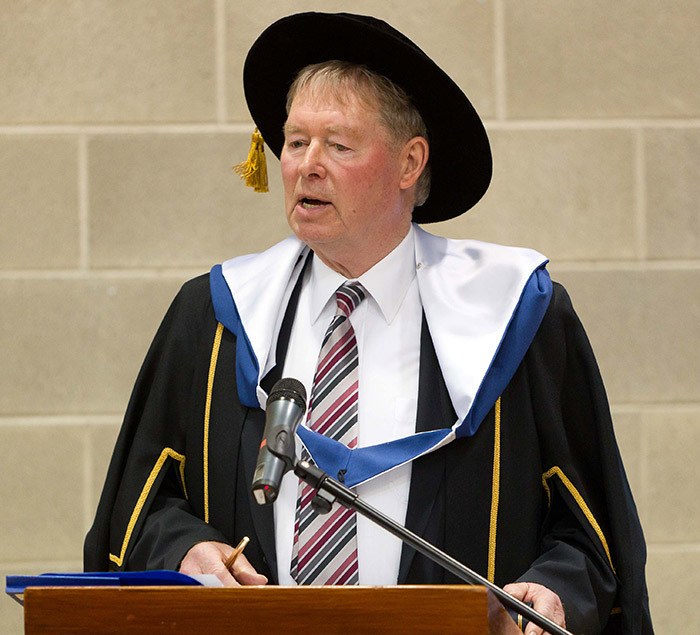 In that respect, Waterford Institute of Technology participates in a practice and a custom, a ritual and a celebration characteristic of educational foundations since medieval times. This is an award which is not given lightly. Its value is cherished. Its standard is singular. The processes which govern the selection are competitive and arduous. Waterford Institute of Technology follows in that pathway to observe those historical conventions.